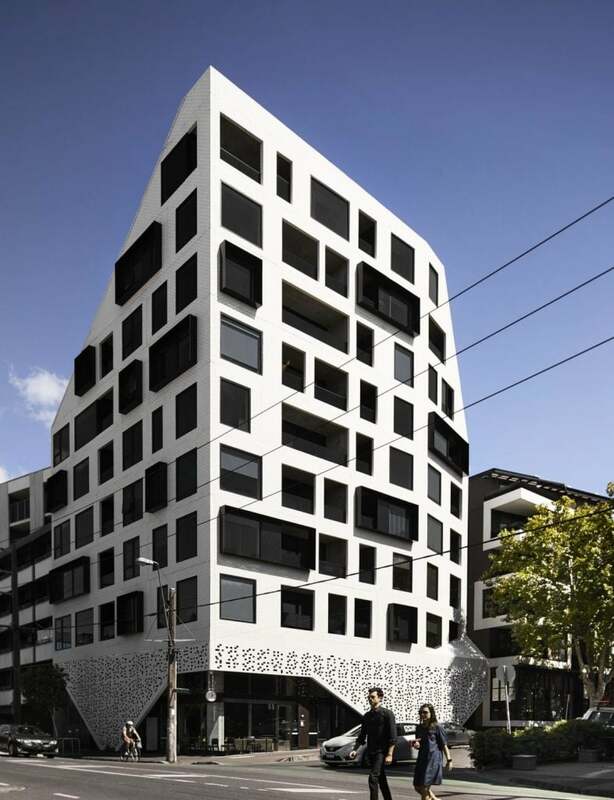 This pair of urban townhouses is a case study in compact, high-quality inner city architecture, transforming a 76 square-metre parcel of land into two light-filled, three-bedroom vertical dwellings. 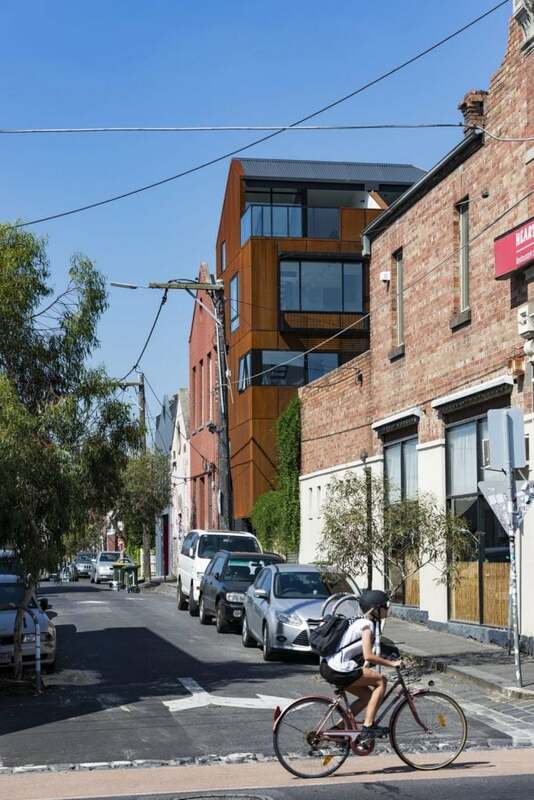 This pair of urban townhouses at 120 Campbell Street in Collingwood is a case study in compact, high-quality inner city architecture, transforming a 76 square-metre parcel of land into two light-filled, three-bedroom vertical dwellings. 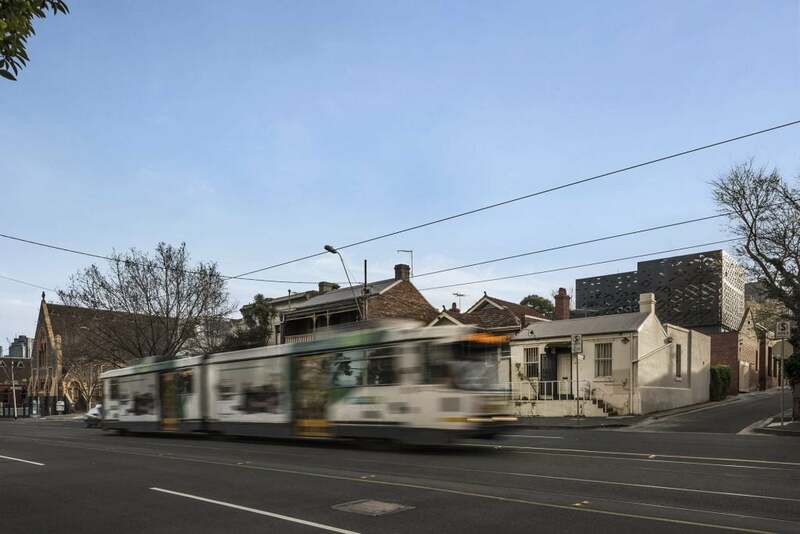 Located within easy access to Collingwood’s inner-city coffee culture, each house is composed of six levels, including a basement, ground-floor garage and roof-top terrace. A spacious steel and timber stairwell connects levels, forming a light-well that illuminates, ventilates and enables vertical living. The creative use of joinery allows spaces and functions to adapt to need, with kitchen and living areas performing as multi-functional spaces. A moveable timber slab on the kitchen bench, for instance, allows for repurposing from chopping block to increased dining capacity. Bedrooms meanwhile include integrated wardrobes, luxurious bathrooms and study zones, that together belie the compact size of these interior spaces. Clear glazing separates the stairwell from bathrooms in a provocative act of transparency, mitigated by full height blinds when required. The façade’s operable architectural metal screens create beautiful dappled light in the interiors, while rooftop decks offer stunning views across Collingwood. Lush landscaping and a pool create the perfect urban escape and vantage point for summertime enjoyment. Twins, but not identical, each dwelling features personal touches. High quality materials and fittings provide a bespoke sense of crafted design and refined detailing across both homes, with a material palette of black steel and raw concrete drawing inspiration from the area’s urban context and working-class past. These qualities come together to make this Collingwood townhouse the very definition of urban sophistication.